Cahors ([kaɔʁ]; Occitan: Caors [kaˈurs, ˈkɔws, ˈkɔw]) is the capital of the Lot department in south-western France. Its site is dramatic, being contained on three sides within a U-shaped bend in the River Lot known as the presqu'île ("peninsula"). 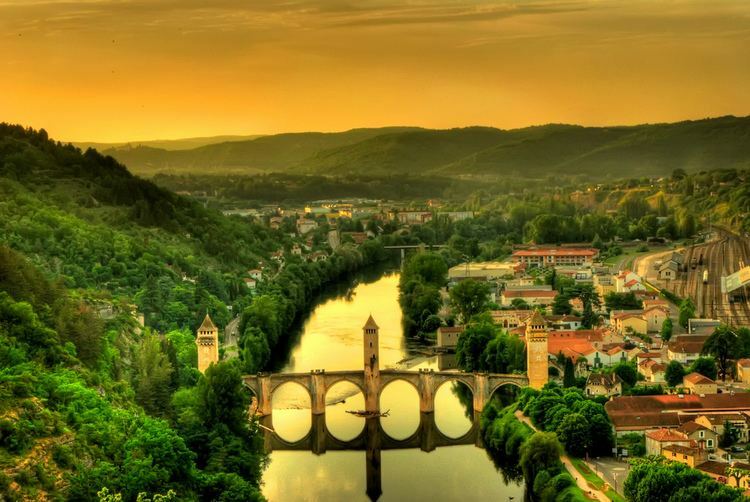 Cahors is known as the centre of AOC 'black' wine, which has been made since the Middle Ages and exported via Bordeaux, long before that region had developed its own viniculture industry. 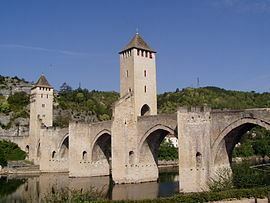 Cahors has had a rich history since Celtic times. The original name of the town was Divona or Divona Cadurcorum, "Divona of the Cadurci," Divona was a fountain, now called "la fontaine des Chartreux", worshiped by the Cadurci, a Celtic people of Gaul before the Roman conquest in the 50s BC. The Cadurci were among the last Celtic tribes to resist the Roman invasion. Cahors derives from Cadurcorum. However, romanization was rapid and profound : Cahors became a large Roman city, with many monuments whose remnants can be seen today. It has declined economically since the Middle Ages, and lost its university in the 18th century. Today it is a popular tourist centre with people coming to enjoy its mediaeval quarter and the 14th-century fortified Valentré bridge. It is the seat of the Diocese of Cahors. It was also infamous at that time for having bankers that charged interest on their loans. The church in these times said that using money as an end in itself (usury) was a sin. Because of this Cahors became synonymous with this sin, and was mentioned in Dante's Inferno (XI.50) alongside Sodom as wicked. Pope John XXII, born Jacques Duèze or d'Euse, was born in Cahors in 1249, the son of a shoemaker. In the 2007 Tour de France, Cahors was the start of stage 18. The town is situated 115 km (71 mi) north of Toulouse, on the RN20 / A20, connecting the city, via Limoges to Paris and Orleans. The town's height above sea level is between 105 metres (344 feet) and 332 metres (1,089 feet). The area of the town is 64.72 square kilometres (24.99 square miles), with population density relatively high for France at 309 inhabitants per square kilometre. The Valentré Bridge, the symbol of the town. Building began in 1308 and was completed in 1378. The legend associated with this bridge is one of the most fully realized of all Devil's Bridge legends, with a carefully developed plot, complex characters, and a surprising dénouement. When the bridge was restored in 1879, the architect Paul Gout made reference to this by placing a small sculpture of the devil at the summit of one of the towers. Cathédrale Saint-Étienne, a national monument. The barbican that once defended the Barre Gate. Tower of Pope John XXII. Arc de Diane, a relic of ancient Roman baths. Roman Amphitheatre – remains of an oval amphitheatre were revealed when the underground car park was excavated at the Place Gambetta, just west of, and partially beneath, Boulevard Gambetta in the city centre. The stone walls can be seen in the car park first level, below the statue of Leon Gambetta, and opened to the public in April 2009. The area around Cahors produces wine, primarily robust and tannic red wine. Wine from the Cahors appellation must be made from at least 70% Malbec (also called Cot, Auxerrois and Pressac) grape, with a maximum of 30% Merlot or Tannat grape varieties. 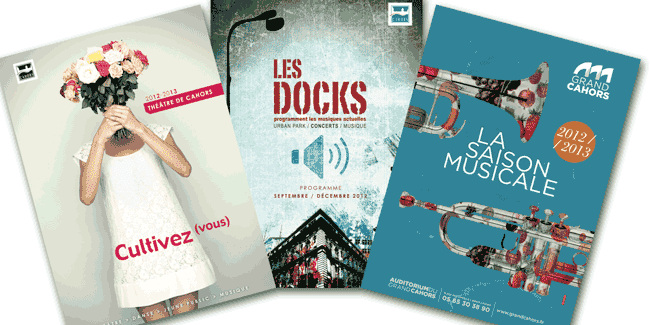 The Cahors Blues Festival takes place every year in July since 1982.